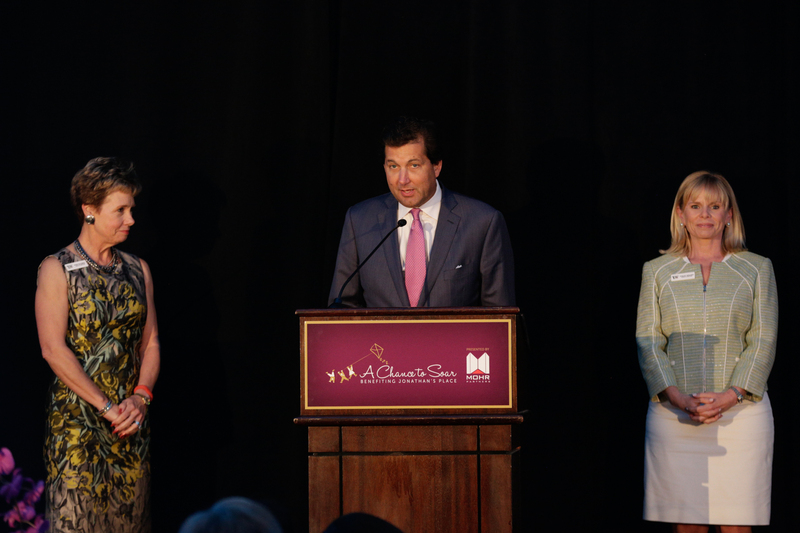 Mohr Partners, Inc., a global corporate real estate advisory firm, was the presenting sponsor for Jonathan’s Place’s fourth annual “A Chance to Soar” luncheon held at Brook Hollow Golf Club in Dallas on April 28. 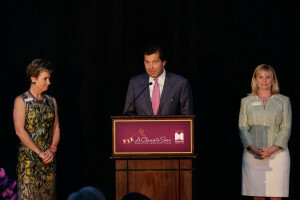 The event raised funds to support abused and neglected children across North Texas. Dancing with the Stars champion and child abuse survivor, Cheryl Burke, was the keynote speaker. The Emmy nominated professional dancer has over 20 years dancing experience and has won multiple championship titles. An 18 season veteran of Dancing with the Stars, she became the show’s first professional dancer to appear in the finals seven times and the semi-finals ten times, becoming champion twice with Emmitt Smith in Season 3 and Drew Lachey in Season 2. Jonathan’s Place also presented its Award of Compassion to 12-year board member Eliot Raffkind, who is a Partner at the law firm Akin Gump Strauss Hauer & Feld. AMLI Residential was recognized with the Award of Service, and Capital for Kids was presented with the Award of Excellence. Jonathan’s Place was the first licensed foster group home in Texas for drug-addicted babies and small children and is the only emergency shelter in Dallas County for abused children from newborn to 17 years old. Proceeds from the luncheon help fund Jonathan’s Place programs that helped 11,105 children last year through its emergency shelter, residential treatment for girls, foster care and adoption programs, and runaway prevention partnership with National Safe Place. Mohr Partners has sponsored Jonathan’s Place for over nine years, committing resources by allowing its associates time off to visit the cottage and planning fun activities throughout the year for the children. Additionally, Mohr sponsors Easter and Christmas parties annually where Mohr associates contribute items for the event such as Easter baskets, candy, toys, clothing and other items to ensure the children receive gifts and are not forgotten at these special times of the year. If you would like to contribute to the work being done at Jonathan’s Place, you can make a direct donation by visiting the organization’s website at jpkids.org/give. © 2019 Mohr Partners INC. All Rights Reserved.